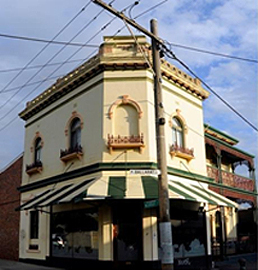 United Housing Co-operative Ltd. has operated from its registered office located at 1A Ballarat Street in Yarraville for over 10 years. Yarraville is located at the approximate geographic centre of the properties under lease to the Co-operative and within 3 minutes walk from Yarraville Railway Station, which means it is accessible to all members. The office, which is a registered historical building, has adequate meeting space for the staff team, and for Board and Committee meetings as well social and training activities. Large social events and General Meetings of the Co-operative are held in nearby meeting venues.